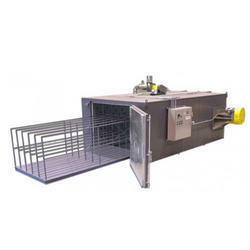 Leading Manufacturer of batch oven for food industry from Ahmedabad. We are one of the remarkable manufacturers and suppliers of Batch Oven for Food Industry. The offered broilers for sustenance industry are extremely helpful in the preparing and warming methods of the nourishment commercial ventures. Our offered stoves are produced using nourishment grade crude materials, to guarantee legitimate cleanliness in sustenance transforming procedure. The offered stoves are extremely savvy in rates.